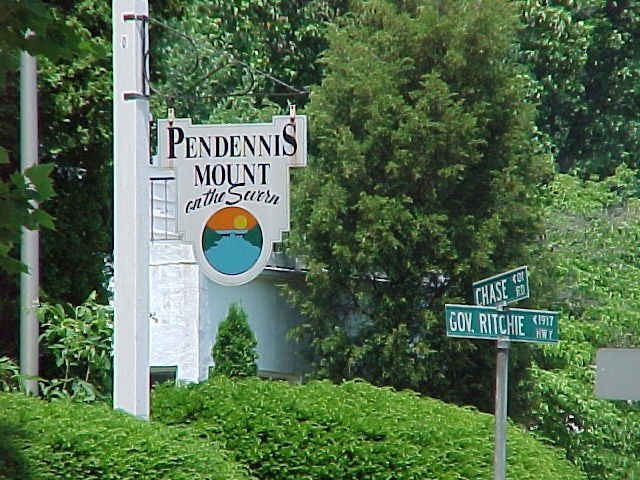 A couple of days ago, I was re-organizing some of my genealogy photographs and was reminded of Pendennis Mount across the Severn River from Annapolis in Maryland. This is the photo that I took, Pendennis Mount on the Severn. 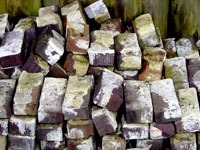 It is the name of the plantation that Captain John Worthington (1650-1701) owned. 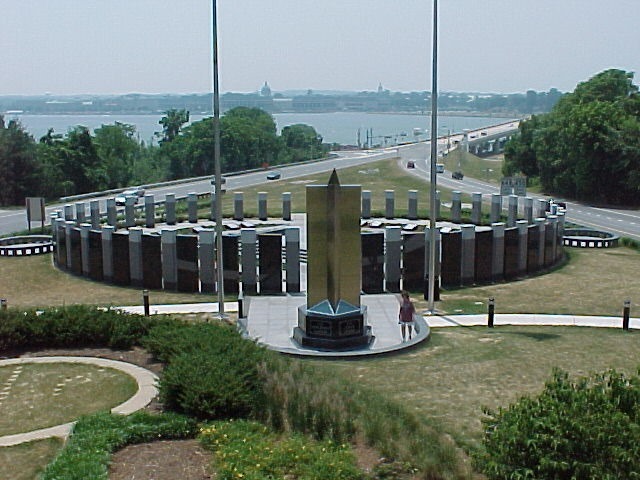 At the bottom of the Mount, is the Maryland War Memorial. I have been there a number of times, including where Capt. John and his family were initially buried until he and his household were re-interred in the Saint Anne’s Anglican Church in Annapolis. 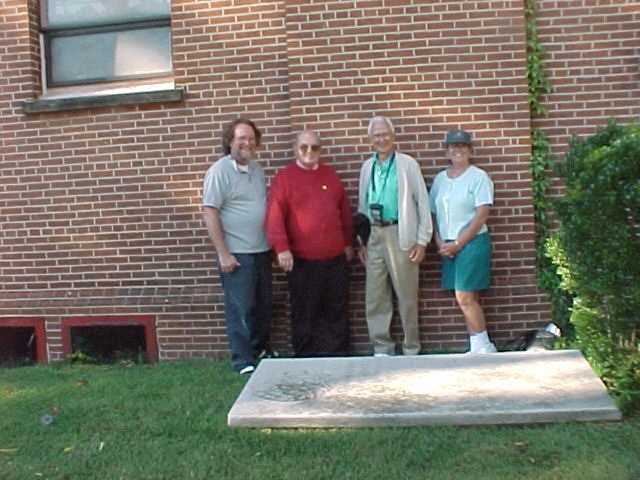 A photo of a few of his descendants who visited here in September 2000. In reviewing these photos, I thought I would find the Website I had found earlier on Pendennis to see what I could find. When I had looked earlier (couple of years ago), the location of Pendennis was out of place from where I expected to find it, based on the time, place, and “paper trail” for Capt. John. I knew there were Worthingtons in Falmouth, but the location through me off, so I didn’t pursue it. It being Why Did Capt John name his plantation “Pendennis”? The website, English Heritage had a guide book for Pendennis Castle, so I ordered it. Today, it came in the mail. Maybe, just maybe, this Bright Shining Object (BSO) will lead to the answer to my question. While looking into this, I will not forget my DNA issue. Who knows, maybe one of my U.K. Google+ or Blog followers will have some insight on this place. This castle, at least my understanding at the moment, is over 400 years old, well before Capt. John was born. I was reading my friend’s, “The Legal Genealogist”, blog post: Big Sale and Big Y and thought I would take a moment to share my experience. A couple of years ago, I did a Y-DNA test from Ancestry.com and got the results and details. Haplagroup J2A was the results and took “my line” back 10,000 years, or some out of this world number. All I want is back to about 1650. So that didn’t do anything for me. I then found that my Surname has a DNA Project on Family Tree DNA, so at my expense, transferred my results over to FT-DNA. I even had to talk to the FT-DNA folks at a conference to make that all happen. Very nice folks there, very helpful. When the results finally were posted, I have 3 “new” cousins. Actually, I knew one of them, talked to him on the phone, and found that we descend from the same son of Capt. 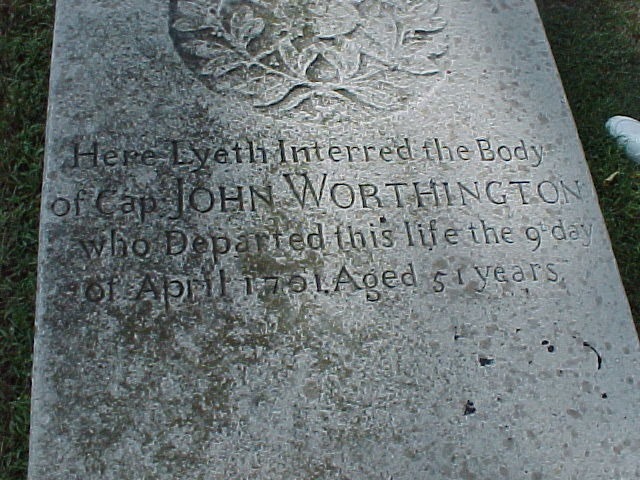 John Worthington. The other 2 people are cousins, one of which had 2 surnames as part of his name, so there was not doubt about the connection. BUT, there was NOT a “hit” across the pond. That is, no one from the UK matching the J2A. So, I let it sit for a couple of years. In fact, it hasn’t changed. So, Ancestry.com came up with New and Improved DNA testing. I get “cousin” hits several times a week, for 5th to 8th cousin’s. 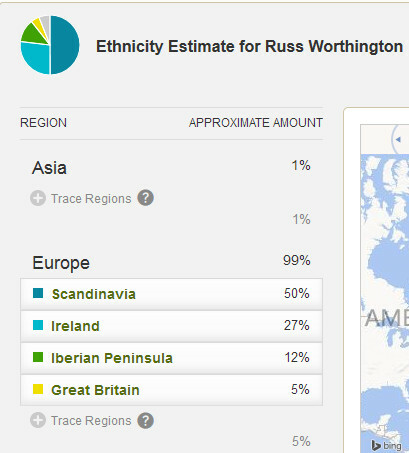 Wow, gonna find something here, even had a couple of closer cousins in these results. You are supposed to be able to compare your Ancestry Member Tree (AMT) to these “hits” / cousin hits, so I have been keeping my AMT up to date, so that I can compare. Looking at these other AMTs has been very disappointing. Very, very few common surnames, and only location matches to a state, no closer. 50% Scandinavian ?????? That’s no where close to J2A. 27% Irish ??? A great-grandmother married an Irishman, in fact I carry his surname as the name most of you know me by. No blood link there. But the kicker is 5% Great Britain. 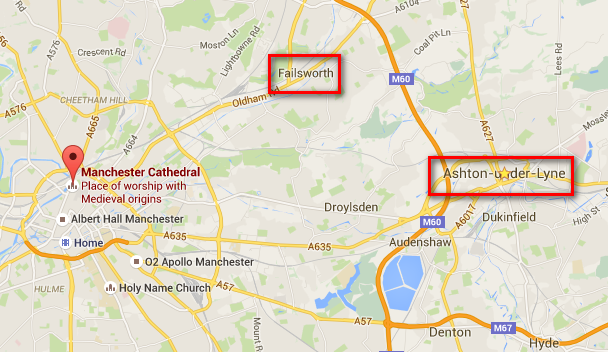 All of the published genealogies of the Worthington Surname gets back to the 1300’s in England. 5% ??? There is something that I must be totally missing here and am certainly NOT spending any more money on DNA testing. I am struggling to understand the two sets of test results from Ancestry.com. Now, I do accept “new technology”, but there should at least be some common ground for the two sets of tests. So, Judy, of The Legal Genealogist, lets talk. I guess my real question here is, how close do “the numbers” have to be, in the y-DNA testing. to be considered “cousins”? Is it possible that the notion in that previous blog post might be worth looking into?